It’s been a very long time since I bought anything from The Body Shop. But the Almond Milk & Honey range caught my eye. Made especially for dry, sensitive skin, it’s designed to relieve dryness, dehydration, and irritation, which sounds perfect for me right now. The skin on my body has been reacting to everything recently — it almost feels prickly at times — so anything that makes it feel comfortable is more than okay with me! 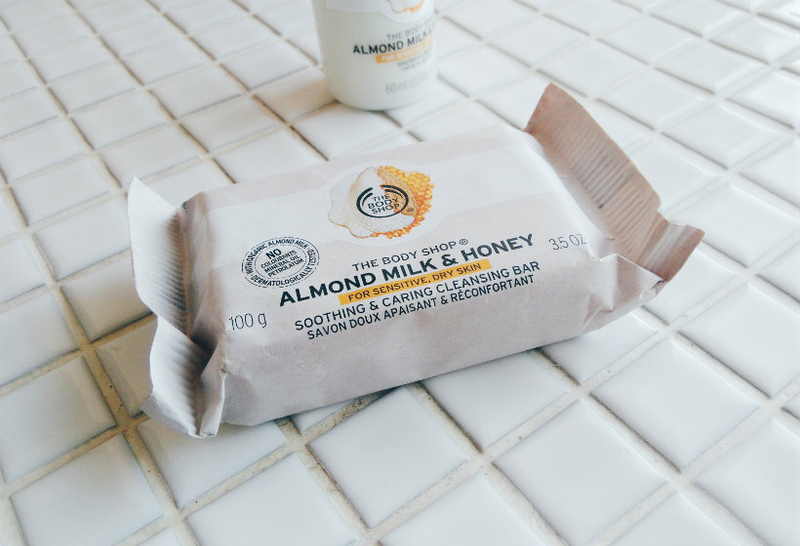 The almond milk in question is organic and sourced from Spain, while the Community Trade honey is from Ethiopia and has antibacterial properties. I picked up a Cleansing Bar, £4, and a mini Shower Cream, £2. Bar soaps are a relatively new thing for me. I’m not a fan of the ones you find in the supermarket — or any that contain SLS, for that matter — because I find they strip the skin, but as I’ve discovered over the past six months or so, gentle soaps can be lovely. And this one certainly doesn’t disappoint. It lathers up beautifully and cleanses the skin thoroughly, leaving the subtle scent of honey behind. My one problem is that I always seem to drop soap when I’m in the shower! Those soaps with a hole in the middle need to become the norm, it’d save so much faff. At some point I would love to switch to using solid shower products (no packaging!) but until I stock up on storage so I can keep them in my suitcase, it’s not going to happen. In the meantime, the 60ml bottle of shower cream is the perfect size for taking away with you — I’ve already put it aside for my next trip. As for the shower cream itself, it works up into a lovely, foamy lather and a little bit on a shower puff is enough to get your whole body clean. I find the scent is stronger and more long-lasting than that of the cleansing bar, too. I’d mark the shower cream slighter higher, solely for practicality, but both products are ideal if you want to wash your body with something gentle and soothing. 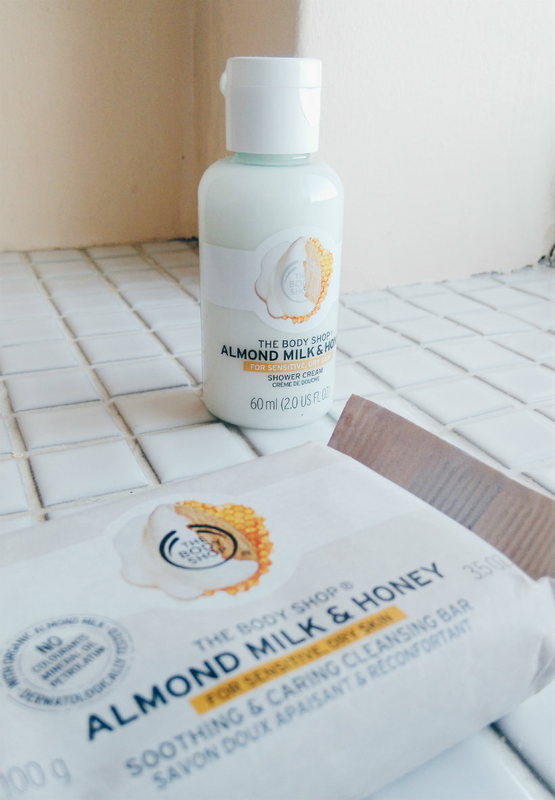 Have you tried anything from the Almond Milk & Honey range? What’s your favourite scent from The Body Shop? Let me know in the comments!